After the festive month of December, let's join together for this amazing event at Unplugged Courtyard in Udyog Vihar. 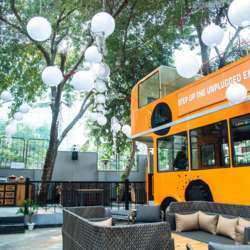 This NEW Venue is rated as one of the Top 10 rooftop restaurants in Gurgaon and it is known for serving amazing drinks and food. Come over after work to start off your weekend in style with unlimited alcohol, snacks, friends & fun! It's Friday Night and this one is expected to be crowded. If you need any help reaching the venue, please call: 9911648877. Feel free to bring your friends to the event, and don't forget to get them to sign up for InterNations first.